Ariel Gil Miranda…attended Camilo Cienfuegos High School (Cuba)…defected from Cuba in 2014…resides in Miramar, FL with wife Taimi and their twin boys Addriel and Addiel. Totals - Was 8-7 with 5.12 ERA (91 ER, 160.0 IP) with 137 strikeouts in 31 games, including 29 starts... Leader - Led Seattle in starts, innings, 2nd in wins & strikeouts... Strong Start - Was 7-4 with 4.31 ERA (58 ER, 121.0 IP) with 98 strikeouts in first 21 starts…in final 10 games, including 8 starts, was 1-3 with 7.62 ERA (33 ER, 39.0 IP)... No Hits - Limited opponnents to .233 (140x600) average, 7th-best in AL (min. 150 IP)... Home Sweet Home - Was 3-3 with 3.95 ERA (37 ER, 84.1 IP) with 72 strikeouts in 14 games (13 GS) at home…5-4 with 6.42 ERA (54 ER, 75.2 IP) in 17 games (16 GS) on road... Libre - 29 starts tied for most in club history by Cuban-born player (R. Elias, 29 in 2014)... Support - Had a 6.08 run support average, the 7th-highest in the American League and 9th in the Majors (min. 150.0 IP) and the 11th-highest in club history... Limiting Damage - Allowed 2 runs or less in 14-of-his-29 starts this season... Longball - Allowed 37 home runs, 2nd-most in the Majors behind Boston's Rick Porcello (38)…also the 2nd-most allowed in club history behind Jamie Moyer (44 in 2004)... You Complete Me - Win #6 in Mariners 7-1 win over Tampa Bay on June 4 at Safeco Field, his first career complete game, allowing 1 run on 4 hits while walking 1 and striking out 9 over 9.0 innings...it was the only complete game by a Mariners pitcher in 2017... Streaking - Won 5 straight decisions April 28-June 10 (9 GS, 5-0, 3.40, 20 ER, 53.0 IP)... was the first time in his career to win 5 straight decisions (previous high: 4, 9/2-18/16)... during the streak, allowed 8 ER in 3.1 IP in no-decision 5/9 at PHI; subtracting that outlier, he was 5-0 with a 2.17 ERA (12 ER, 49.2 IP) in the other 8 starts... Short No-No - Received a no-decision vs. Houston on Sept. 5 in Seattle…tossed 6.0 no-hit innings but allowed a run in the 3rd inning on a sacrifice fly…walked 6 batters, including three to lead off the 3rd inning…left with the game tied and the no-hitter intact until Cameron Maybin hit a 1-out, 2-run home run off Emilio Pagan in the 7th... 1st Half Finish - Was 4-2 with 3.59 ERA (27 ER, 67.2 IP) in final 11 starts before break... Strong Start - Was 3-2 with 3.55 ERA (13 ER, 33.1 IP) with 29 strikeouts in his first 6 starts of the season before allowing 8 runs in 3.1 innings on May 9 at Philadelphia... He's Back - Recalled from AAA Tacoma on March 31 after LHP Drew Smyly was placed on the 10-day disabled list…was optioned to Tacoma on March 25. With Seattle - Was 5-2 with 3.88 ERA (25 ER, 58.0 IP) with 44 strikeouts in 12 games, 10 starts with Seattle...Four Straight - Won four consecutive starts (Sept. 2 vs. Los Angeles- AL, Sept. 7 vs. Texas, Sept. 12 at Los Angeles-AL & Sept. 18 vs. Houston), going 4-0 with a 2.16 ERA (6 ER, 25.0 IP) with 20 strikeouts…he's 1 of just 3 Mariners rookie pitchers in club history to win 4 games in September, joining Mark Langston (4-1, 1984) & Gil Meche (4-0, 1999)... Limiting Damage - Allowed 3 earned runs or less in 9 of 10 starts, 2-or-less in 5 of 10 starts. Making Them Earn It - Allowed a solo home run in top of 3rd inning on Sept. 18 vs. Houton, first earned run he had allowed since 1st inning on Sept. 2 vs. Angels; streak of 19.0 consecutive innings without allowing an earned run is 5th-longest such streak by a Mariners rookie pitcher in club history…the club record for consecutive innings without allowing an earned run as a rookie is held by Matt Young (23.1 IP, 5/3/83-5/24-83)...First Win - First MLB win in Seattle's 6-5 15-inning win vs. Detroit on Aug. 9…pitched in relief in 15th inning, allowing solo-homer to Victor Martinez... Mariners Debut - First Major League start for Seattle on Aug. 4 vs. Boston…went 6.0 innings allowing 2 runs on 8 hits, while striking out 5... Cuban Mariner - Became 4th Cuban-born pitcher to pitch with Seattle (3rd to start), joining Roenis Elias (51 games, 49 starts), Diego Segui (40 G, 7 GS) & Tony Fossas (23 G)... Debut - Made MLB debut on July 3, 2016 at Seattle with Baltimore…allowed 3 runs on 4 hits while striking out 4 over 2.0 innings in relief (2.0,4,3,3,0,4)... Norfolk Finish - Over final 7 starts with Norfolk dating back to June 18, Miranda went 3-0 with a 1.93 ERA (9 ER, 42.0 IP), 33 strikeouts and 11 walks… went at least 6.0 innings in 5 of his last 7 starts…held opponents to 2 or fewer earned runs in 5 of his 7 starts and 3 or fewer earned runs in each of his 7 starts…limited opponents to 5 or fewer hits in 5 of the 7 starts...AAA Norfolk - Went 4-7 with a 3.93 ERA (44 ER, 100.2 IP) with 87 strikeouts and 31 walks in 19 starts with the AAA Norfolk (Baltimore) this season…held opponents to 2 earned runs or fewer in 5 of his last 7 starts, 3 earned runs or fewer in each of his last 7 starts (6/18-7/29)… limited opponents to .249 (95x381) average against. Was 6-3 with 3.60 ERA (28 ER, 70.0 IP) with 71 strikeouts and 26 walks in 14 combined starts with the GCL Orioles, A Frederick and AA Bowie…named Carolina League Pitcher of the Week for July 13-19, after going 1-0 with a 0.81 ERA (1 ER, 11.0 IP) in 2 starts for A Frederick…first professional win on July 19 with A Frederick Keys vs. Potomac (WAS)… struck out season high 10 batters over a season-high 7.0 innings with AA Bowie on Aug. 15, at Harrisburg…on Bowie's 7-day disabled list with left shoulder inflammation on Sept. 1. Did not play professional baseball in 2014 after defecting from Cuba that year. 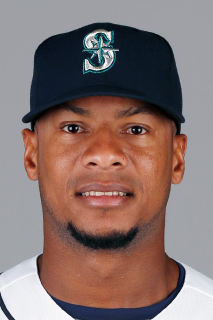 July 4, 2018 Seattle Mariners released LHP Ariel Miranda. June 28, 2018 Tacoma Rainiers placed LHP Ariel Miranda on the temporarily inactive list. June 27, 2018 Tacoma Rainiers activated LHP Ariel Miranda from the 7-day disabled list. June 16, 2018 Tacoma Rainiers placed LHP Ariel Miranda on the 7-day disabled list. June 9, 2018 Tacoma Rainiers activated LHP Ariel Miranda from the 7-day disabled list. May 26, 2018 Tacoma Rainiers placed LHP Ariel Miranda on the 7-day disabled list retroactive to May 24, 2018. April 18, 2018 Seattle Mariners optioned LHP Ariel Miranda to Tacoma Rainiers. April 17, 2018 Seattle Mariners recalled Ariel Miranda from Tacoma Rainiers. April 10, 2018 LHP Ariel Miranda assigned to Tacoma Rainiers from Modesto Nuts. April 5, 2018 LHP Ariel Miranda assigned to Modesto Nuts from Tacoma Rainiers. March 25, 2018 Seattle Mariners optioned LHP Ariel Miranda to Tacoma Rainiers. March 31, 2017 Seattle Mariners recalled Ariel Miranda from Tacoma Rainiers. March 25, 2017 Seattle Mariners optioned LHP Ariel Miranda to Tacoma Rainiers. August 4, 2016 Seattle Mariners recalled Ariel Miranda from Tacoma Rainiers. July 31, 2016 Seattle Mariners traded LHP Wade Miley to Baltimore Orioles for LHP Ariel Miranda. July 31, 2016 Seattle Mariners optioned LHP Ariel Miranda to Tacoma Rainiers. July 4, 2016 Baltimore Orioles optioned LHP Ariel Miranda to Norfolk Tides. July 3, 2016 Baltimore Orioles selected the contract of Ariel Miranda from Norfolk Tides. April 11, 2016 LHP Ariel Miranda assigned to Norfolk Tides from Bowie Baysox. March 12, 2016 LHP Ariel Miranda assigned to Baltimore Orioles. September 23, 2015 Bowie Baysox activated LHP Ariel Miranda from the 7-day disabled list. July 23, 2015 LHP Ariel Miranda assigned to Bowie Baysox from Frederick Keys. June 28, 2015 LHP Ariel Miranda assigned to Frederick Keys from GCL Orioles. June 22, 2015 LHP Ariel Miranda assigned to GCL Orioles. May 28, 2015 Baltimore Orioles signed free agent LHP Ariel Miranda to a minor league contract.